Reproducible colour values are an important factor in quality assurance, e.g. dye, paint industries and the petrochemical sector. 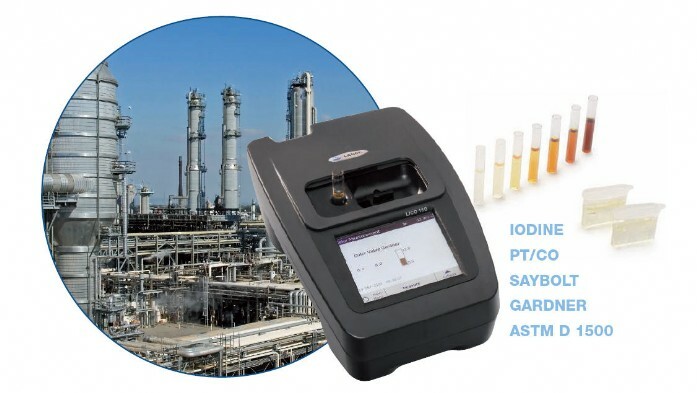 LICO 150 is a portable colorimeter. Its high quality optical system ensures exact and reproducible measured values. Once a value has been measured on site, it can be called up at any time in all five ISO/ASTM colour scales. 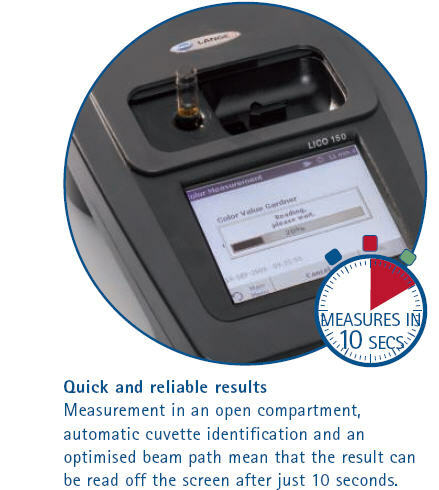 The colorimeter is designed to offer maximum handling in production environments. 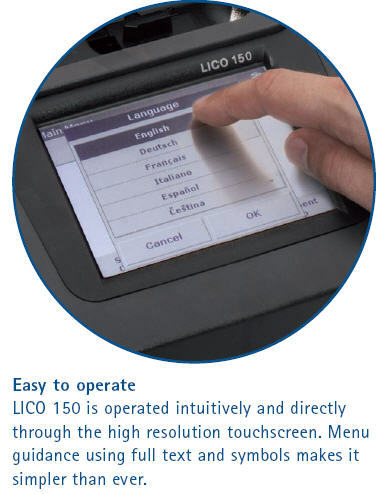 LICO 150 can be fitted with a powerful lithium battery for on-site use.